Hello, all! It is I, your friendly neighborhood Caitallo! As you have likely noticed, it is October, and in October (and sometimes it bleeds into surrounding months, especially when people bite off a little more than they can chew) on Mibba, we do a little thing called Mibba Halloween (or Mibbaween, as some have abbreviated it.) Here is the official forum for more information on some site wide events. Part of this holiday tradition is to put up a blog "Candy Bowl", wherein you offer goodies, including (sometimes) but not limited to the oft sought after story comment, to fellow users in exchange for them leaving a comment on the blog and possibly linking to their own "Bowl". It's great fun, and if you've never tried it before I highly recommend it! -Wonderball: Oh, I wonder wonder what's in the Wonderball! Many of us who grew up in the 90s will remember this interesting and fun goodie. For those who never had one, it's a chocolate ball that's hollow inside that contains other candies inside, usually Sweettarts or Sprees. I think they sometimes gave you like a sticker or some small prize, but I could be remembering that wrong. lol Anyway, this treat is my wild card option for this year! If you pick this one, I will surprise you with a random act of awesome of my own choosing. Anything from a simple story or poem comment or rec, to a full on review, or a comment on all your photos, whatever I decide to do really. I'm giving away 5 of these. 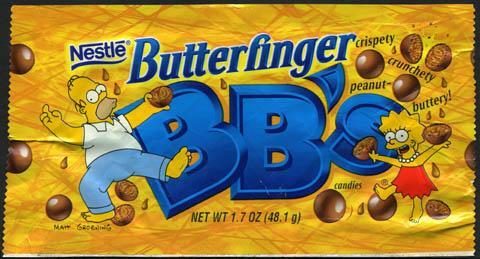 -Butterfinger BB's: You guys, I loved these so much as a kid, and I still miss them to this very day, even though Butterfingers get stuck in my teeth and drive me a little crazy. If you never had the pleasure of popping them into you mouth, then I'm deeply sorry. Unlike some of the other treats on this list, once they were discontinued, they never returned, not even briefly. Anyway! If you pick these, you will receive a comment on one one shot or drabble of your choosing (unless you would rather I picked; Please provide a link to the story you want commented in your comment here, if you can!) I am giving away only 3 of these. 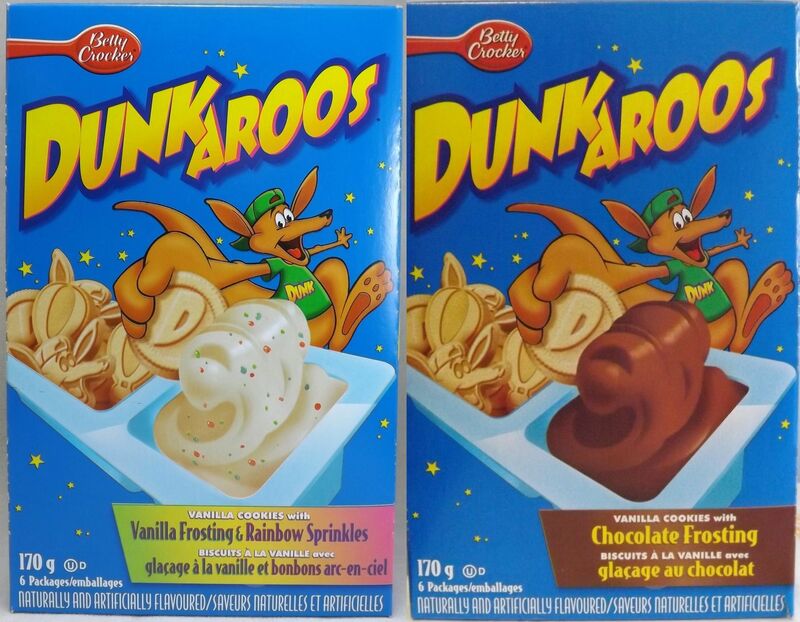 -Dunkaroos: Oh man, I loved these so much as a kid! They were the best! Little graham cracker cookies that you dipped into the little cup of frosting they gave you. I don't know why in hindsight they gave us a treat like this where you dunk sugar into more sugar, but we definitely ate them up! Like the BB's mentioned above, I still miss these things, and I'm not ashamed to admit I'd eat them now as an adult, even if they are a pure sugary mess. Anyway, if you pick this tasty treat, you will receive a comment on one multi-chapter story of your (or mine, if you'd rather) choosing. Please note, I'm mostly likely only going to read 2-3 chapters, so if you want a specific segment reviewed then please let me know, otherwise it's gonna be a comment on the first 1-3 chapters, most likely. Please provide a link to your story, if you can. I'm giving away only 2 of these. All out! 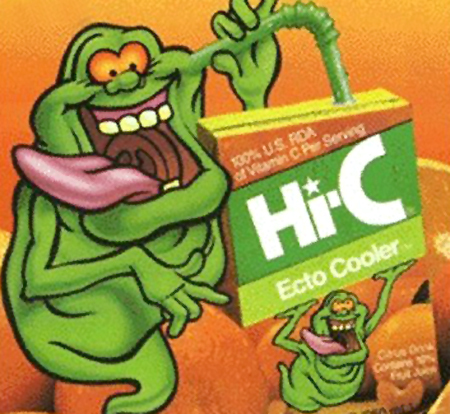 -Hi-C Ecto Cooler: I never tried this that I can recall, but I hear people online talk about them a lot, so apparently they are very fondly remembered by many. If you select this Slimer approved treat, you will receive a comment on one poem of your (or mine, if you prefer) choosing. I'm giving away only 3 of these! 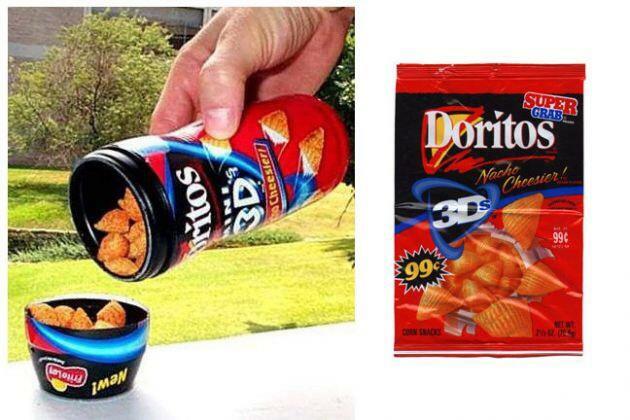 -Doritos 3D: My dudes, these things were the bomb! I absolutely loved them, but at the same time I took them for granted, thinking they would never leave. But leave they did, and there's a puffy-triangle shaped hole in my heart now. *sigh* Anyway! If you request this airy, cheesy delight, you will receive a photo comment! These are unlimited! 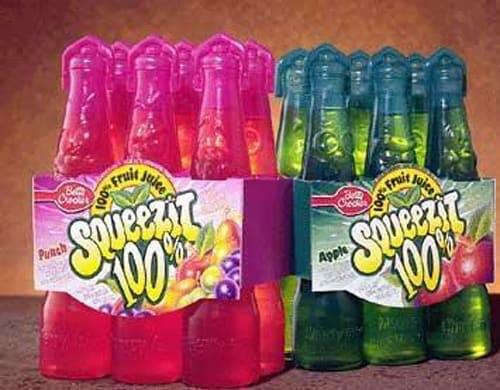 -Squeeze-Its: Another fondly remembered beverage that I'm... kinda indifferent to? I'm fairly certain I drank some as a kid, but I was always more of a Mondo or Kool Aid kid when it came to my colored, sugar-water beverages. If you choose this sugary-watery item, you will receive a friend request from yours truly! These are also unlimited! And that's it for my offerings! Now, I do have one rule and a few suggestions! The RULE is you have to say "Trick or treat!" in your comment, or I will give you nothing and maybe throw an egg at you (or something, I don't know. lol) The suggestions: Please link to your works if you want a specific work commented, if you select one of the comment-type treats, and if you have a Candy Bowl of your own, please consider linking it in your comment, so that I and others who comment on this blog can check it out! Sorry for getting this Bowl out a little later than usual, but I am mostly using Mibba on my mobile device right now, so it makes posting things that are code-heavy like this a little tricky unless I can access a computer (like I have on the day of posting this. lol) Also, this bowl is a little small (probably still not as small as it should be), but I have had a lot going on in my life and with my health and such lately that takes priority over these kinds of activities, no matter how fun they are. Please keep all of this in mind if I'm a little late in getting to your requests. I'm hoping this doesn't spill over into November, but if it does please just have patience with me!